OPEN TO VIEW BY APPOINTMENT SATURDAY 27TH APRIL 1:30PM - 2:30PM A superb four bedroom detached house having been tastefully refurbished throughout, standing in impressive family lawned gardens with views towards the Crimple Valley & viaduct. Sand House is a fabulous five bedroom detached period residence, renovated by the current vendors to exacting standards revealing flexibly arranged accommodation throughout with just short of 3 acres of garden and flat paddock land with simply stunning, far reaching elevated views over open countryside. 'Lower Garth' is a stunning 4 bedroom detached stone built home standing in mature gardens running down to an adjoining paddock of about 2 acres in total, with stone built outhouses/stables, Oak framed double carport and enjoying breath taking views across unspoilt Wensleydale countryside and valleys. Easy access to the A1, just twenty minutes, as are excellent rail links from Northallerton to London and the north. Leeds Bradford and Newcastle Airport are one and a quarter hours drive so Lower Garth is well positioned for travelling while situated in an area of outstanding natural beauty. Wensleydale and Hambleton just voted one of the best places to live in the UK. Local schooling includes Asgarth, one of the country's leading boys prep schools and Ripon Grammar School, the outstanding top state school in the North. This substantial semi-detached property occupying a highly sought after position within moments walk of Harrogate's town centre is now in need of general update, and offers excellent proportions throughout including a self contained one bedroom flat and private gardens to the rear. 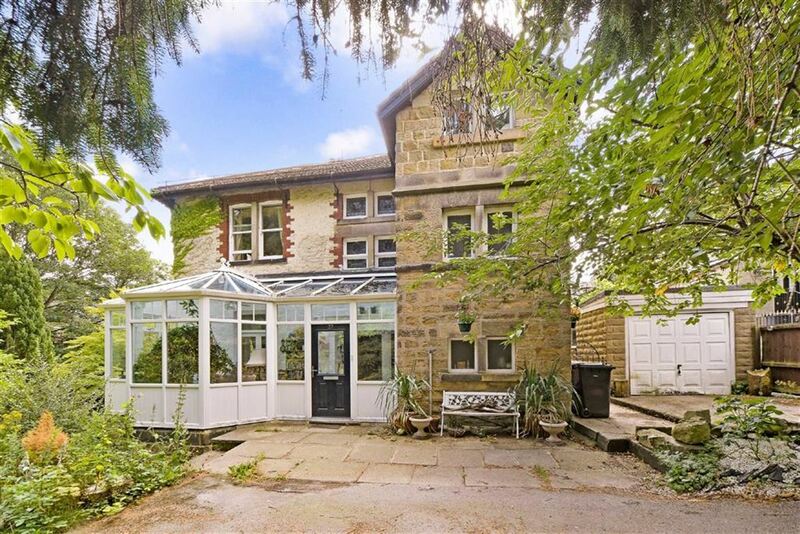 This detached family house occupying a most convenient position on the outskirts of Harrogate and set back from the main road, offers exceptional living space along with five bedrooms and three bathrooms. This stunning five bedroom period townhouse benefits from a fantastic rear garden of some size and occupies a desirable position to the south of Harrogate in the popular village of Burn Bridge. This exceptional new build detached property by an independent developer located within a quiet cul-de-sac in the heart of Killinghall, offers exceptional accommodation of high quality finish including five bedrooms and impressive open plan living space.